It's funny how we associate certain foods as gross before we even try them. For me, one of the things I thought was totally gross was protein powder. Why? Because I'd only ever known it to be filled with junk; artificial sweeteners, ingredients with names half a mile long, foreign bits and pieces and soy soy soy. That was until I found a protein powder that was completely natural and Kristy friendly (with no funky ingredients to upset my sensitive stomach and no soy or artificial sweeteners inside) and started to play around with it. And could you blame him? 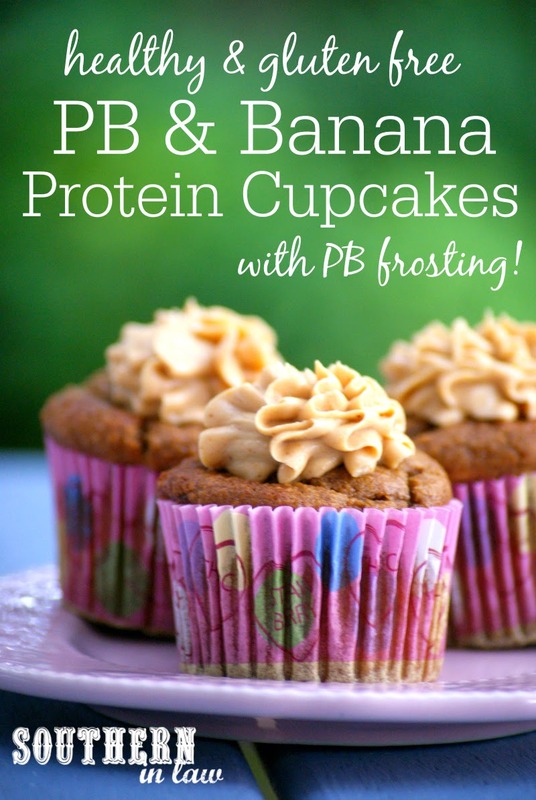 We've been calling these the I Can't Believe They're Protein Cupcakes because they're seriously, ridiculously delicious. 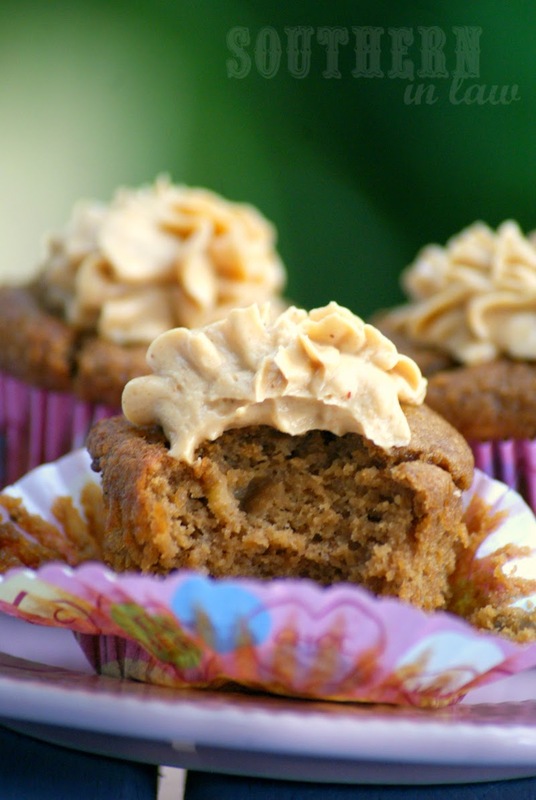 Full of peanut butter and banana flavour, moist and delicious and topped with an incredible peanut butter cream cheese frosting you really can't go wrong! But best of all? 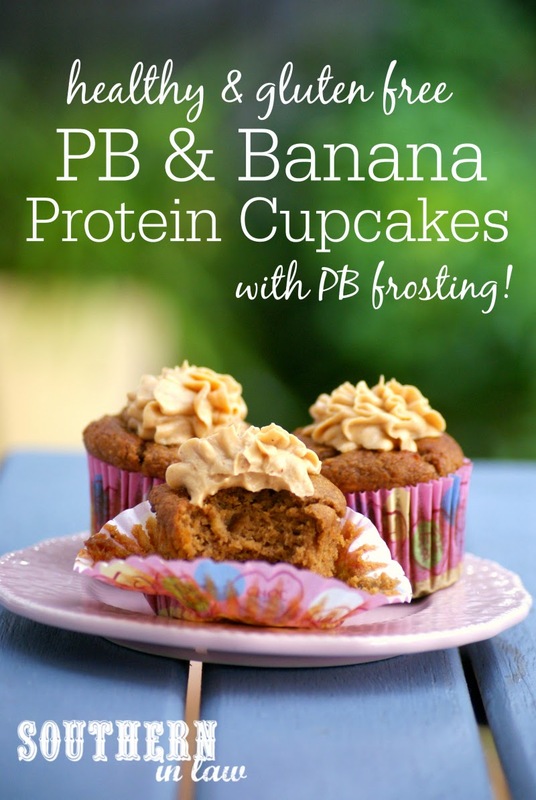 For those of you who still aren't convinced by the protein powder - we tested them without the protein powder and they're still absolutely delicious (just obviously not so high in protein!) so you can whip these up for yourself as well! Preheat your oven to 180C/355F and grease and/or line your muffin tins. In a medium mixing bowl, mash your banana and add in your peanut butter, applesauce and egg, mixing until smooth. Add in your protein powder, oat flour, almond meal, sugar and baking powder, mixing until just combined. Pour your cupcake mixture into your prepared muffin tins, filling about 3/4 of the way full. Bake for 15-25 minutes, depending on the depth of your cupcakes, or until cooked through and a skewer inserted into the centre removes clean. Once cooked, remove from the oven and allow to cool in tins completely before frosting. If using sweetened protein powder use the lesser amount of sugar called for in the recipe, unless you like things super sweet. We actually found we preferred the cupcakes with only 2 tbsp sugar even though we used an unflavoured/unsweetened protein powder, however, we don't like things super sweet. *Note: Not all coeliacs can tolerate oats. Find out more about oats on a gluten free diet here. In a small mixing bowl, combine your peanut flour with your maple syrup and salt, mixing until your peanut flour begins to look like thick peanut butter and all lumps are gone. Add in your cream cheese, mixing until smooth and combined and adding a little bit of milk if needed. These cupcakes keep best when kept in the fridge and will last for 3-4 days in the fridge stored in an airtight container. The unfrosted cupcakes can also be frozen, stored in an airtight ziplock bag or container, and will keep for months. If you don't have peanut flour please don't substitute it for almond meal! We have readers do this all the time and it just won't work. 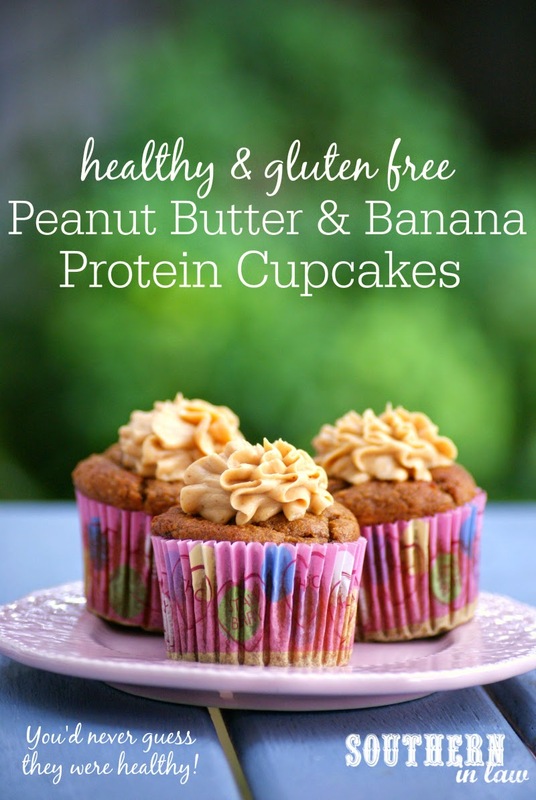 We highly recommend using peanut flour for this protein frosting and following the recipe as it is written (as we spend hours perfect every recipe! ), however, if you have to substitute it, try using 3 tbsp peanut butter instead and leaving out the milk. But tell me, how do you feel about protein powder? And what's the last food you tried that you thought was gross but actually surprised you? I was surprised to find I now actually like eating meat as growing up I hated it! I still won't eat a steak but chicken makes a regular appearance on my dinner plate! My Mum is still weirded out by the fact that I love mushrooms now as I hated them as a child and Jesse is surprised to find that he now loves asparagus as he would never try it in the past! Any time PB is involved...you can't not be happy! They are SERIOUSLY good! I'm like you; the only protein powder I can tolerate is rice protein so definitely give it a try! I don't like it in smoothies or just mixed into things but it works perfectly in baking!